In spite of the popularity of living on Maui and the number of established developments on the island, land is still available for sale for the right price. The popularity of life on the island and the profitability of the homes, resorts and condos built here makes prices for Maui land for sale much higher than prices for land on the mainland. Even though development in Maui has been significant over the years, many areas of the island are still natural and untouched. While some sites are protected natural areas and not available for sale, other properties are on land that can be developed. These pieces of land for sale on Maui appeal to buyers who wish to create developments to rent or sell at a profit. Independent buyers who want to build their dream home on the island are also a target market for land on Maui. Between 2013 and 2014, prices for Maui land for sale have remained relatively stable. The average sale price for land lots in 2013 was $710,000, compared to $735,000 in 2014. This was just a 4 percent increase. Lots available for sale were selling more quickly in 2014, with an average days on market of 296 days, compared to 346 in 2013, which is a 14 percent drop. Overall, the market for land for sale in Maui has been a healthy one over the past year. The price of land for sale in Maui will vary depending on where the lot is located. As is the case with homes, pieces of land are more valuable based on how close they are to the water and the ocean. For example, the average value for land across the street from the ocean in 2014 was $871,000, compared to $1.2 million for land on the oceanfront and $6.3 million for land on the beach. If the land was not near the ocean at all, but rather was inland, it was worth about $611,000 on average. In 2013, the prices were similar, with beachfront properties having an average value of $938,000 and oceanfront property commanding $1.6 million, compared to just $623,000 for land away from the water and beach. The high demand for a beachfront or ocean view home contributes to these price differences. 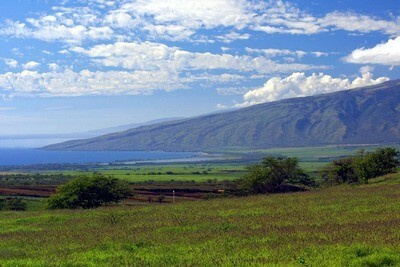 Maui land for sale is a valuable investment opportunity for the right buyer. Maui has limited land available for development, and as more is purchased and developed, the price is likely to increase. This means those interested in purchasing Maui land should act promptly when a piece that appeals to them comes available. Fred Haywood Realty is one of Maui's most trusted and established Realtors. Olympic medalist and long time Maui resident, Fred knows Maui and can help you navigate the islands most pristine corners and gems. Call or email us to discuss your home dreams on Maui.